The Terrace Bar in Tbilisiʼs Vere Palace Hotel has a breathtaking view of the city. From our rooftop perch, we were greeted with the sublime scenery of the capitalʼs prestigious Vere district. Everything about the Vere Palace Hotel exudes charm, elegance, and luxury. What better surroundings to spend an afternoon with 2 lovely ladies and sampling some of the Republic of Georgiaʼs finest brandies. 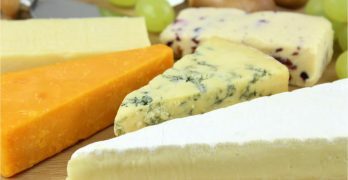 Heralded as the birthplace of wine some 8,000 years ago, Georgia is also renown for its grape vodka known as Chacha, and world class brandy. To maintain the highest quality standards, Georgia uses the French classifications of VS, VSOP, and XO. Today, I am joined by fellow sommeliers Medea and Shorena. 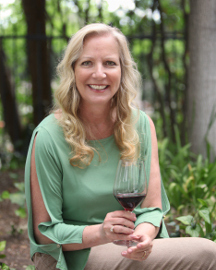 Since my heyday with Georgian wines, I have come to know both ladies quite well and trust their palates implicitly. I watched with amusement as our waiter served various dishes of goat and sheep cheese adorned with cucumbers and tomatoes. Tsotskhali, a small river fish cooked while still alive. Chizhi-pizhi, pieces of roasted lamb liver and spleen. Kachapuri, a thin pie filled with goat cheese and my favorite, lavash. This is a Georgian bread slapped against the wall of a clay oven and baked. All of the dishes were sprinkled with pungent spices that permeated the air. At first sight, this 10 year old brandy is straw-colored. The unique coloring comes from the Georgian oak barrels used in the traditional Kakhetian method of blending Rkatsiteli grapes. 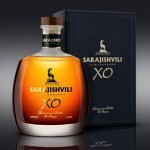 “I selected a Sarajishvili XO,” Medea presented me with the bottle. 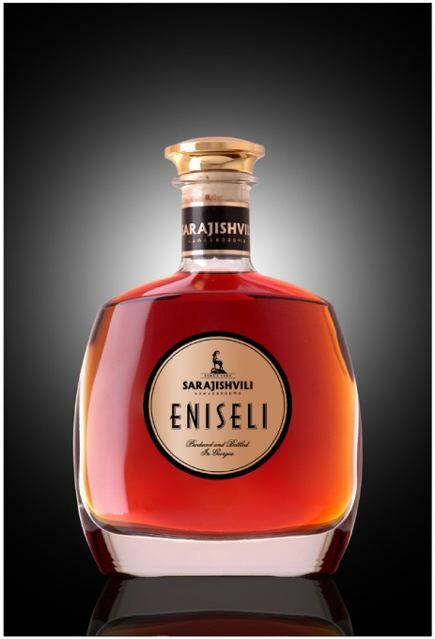 After studying cognac making in France, David Sarajishvili founded his legendary company in1884. In the days of the Russian Empire, Sarajishvili brandy was known as “Natural Caucasian.” Eventually the company was heralded as the “Official Court Supplier of Georgian Brandy to the Russian Tsar. To the eye, this 18 year old brandy is a very deep reddish brown. One anticipates that they are about to enjoy something very special. I was quick to notice the aromas of maple nut, caramel, and mocha. 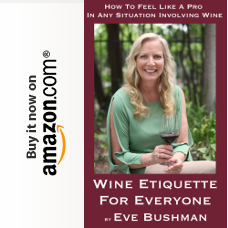 “Letʼs not forget the pleasant tones of oak,” Shorena added. 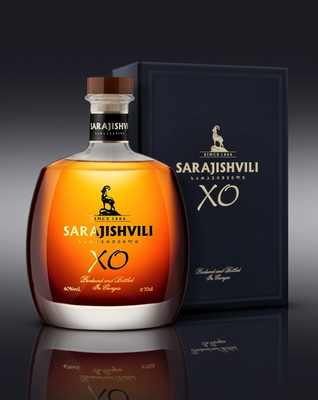 Sarajishvili XO is a unique blend of 15 different eau-de-vie reserved in estate cellars and aged for an average of 14-18 years. “An excellent choice.” I applauded Medea. “I thought it a nice balance of east and west techniques of making brandy,” Medea replied with confidence. “What is our final selection?” I motioned for Medea to show me the bottle that now peaked my interest. Eniseli has long been considered the elite of the Georgian brandies. Crafted from only the finest Rkatsiteli grapes cultivated Eniseli district of the Alazani Valley, this is the pride of the Georgian brandy industry. “A monumental task indeed, considering that Stalin was a Georgian,” Medea erupted euphorically. “Obviously, Mr. Churchill was quite the connoisseur,” Shorena said matter of factly. Being no less the bon vivant, I served the ladies and myself a more than generous pour of our 15 year old blend from Sarajishvali. On first sight, the color is a pleasing amber. As I took in the gentle and fine bouquet, a savory aroma of pronounced vanilla permeated my nostrils. And on the palate … a sheer delight. 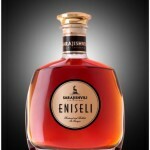 Eniseli can be charactered as an elegant brandy that has been crafted with the required sophistication for for even the most discerning of palates. “Grigol, perhaps your American readers would like to know about Russian state dinners in Soviet times,” Medea cocked a playful brow. We are often quick to stereotype Russians as quaffing endless shots of vodka. Quite the contrary, Georgian brandy was the official spirit served at all state functions. In fact this tradition actually dates back to the days of the tsars. Georgian brandy was always the luxury spirit of the empire. Considering that Georgians have the longest tradition of making brandy, this is by no means a surprise. So off we went for a night of fine Georgian cuisine, mukuzani wine, and Georgian folk music … But that my friends is another story.